At the time when the state of Illinois greenlighted video gambling, no social workers, psychologists or behavioral health counselors were required to give their opinion on the issues related to gambling addiction and problem gambling rates. Several years later, the number of video gaming terminals (VGTs) have been rising in number. In 2018, there were more than 30,380 video gambling machines in the state in more than 6,830 locations. The addition of video gambling has been seen as a way for local cities and municipalities to generate more revenue in order to fill their budget holes. According to anti-gambling campaigners, the legalization of video gambling by Illinois lawmakers has been a massive issue with unimaginable consequences and a rapid increase which is already being considered a serious downside. Along with the addition of gambling to the state’s gambling landscape, problem gambling rates have also increased in Illinois. This has prompted anti-gambling campaigners and local behavior health counselor call for the state lawmakers to take instant measures to face the issue, but the truth is that the state has been experiencing difficulties to fund local agencies with enough money to help gambling addicts. In addition, there are not enough licensed professionals and social workers to address the needs of all people suffering from compulsive gambling in the state. According to counselors at the Know County Community Clinic, people are not willing to think about gambling addiction, but the truth is that it could cause problems similar to the ones caused by drug or alcohol addictions. In fact, many gambling addicts do not realize that they have a problem with gambling, or it is hard for them to acknowledge the massive role which gambling has started to take in their lives. Specialists have further noted that video gaming has been fueling gambling addictions across the state, with many people hardly even noticing the damage which could be caused by VGTs. 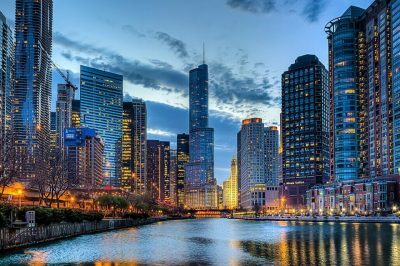 Despite the fact that anti-gambling campaigners have insisted that video gaming should be kept out of Illinois, state lawmakers decided to give it a go and gave the nod to the new form of gambling less than a decade ago. Considering the fact that they have not turned to any experts for their opinion about the possible effects which the addition of VGTs could have on local communities, local lawmakers have probably not foreseen the scale of the issue. 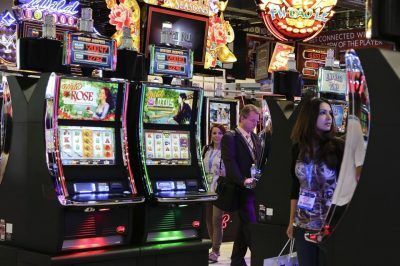 Some of them have surely underestimated it, seeing the addition of video gambling only as an expansion of the entertainment options in the state. As mentioned above, many lawmakers have only regarded VGTs as a way to close the budget hole and generate fresh revenue. Now, the question is whether the competent authorities and regulators would take the necessary measures to make sure that local voters are well-protected against gambling-related harm.